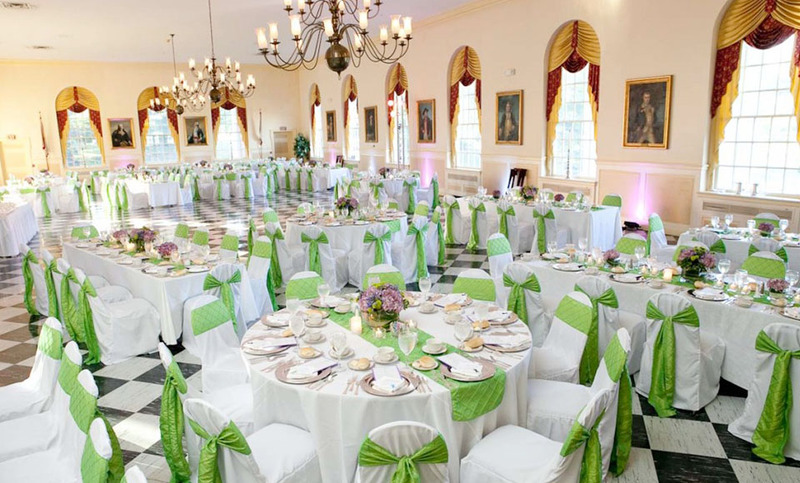 Valley Forge Military Academy and College, resting on 100 acres of beautiful landscape, is the perfect venue for weddings and corporate events. The chapel offers seating capacity for 1,300 guests; the main seating faces the altar, with two separate sections in the side transepts. Our organists are available to play at your event; meetings with the musicians would be scheduled after your reservation is confirmed. You are welcome to bring in your own music for your event, DJs, bands and soloists are permitted to perform. Unity Candles, Flowers, Pew Decoration, Rose Petals, Aisle Runner (150’), and Wedding/Event Programs are all permitted inside the Chapel. Please no stapling, tacking or taping is allowed. No rice or birdseed toss is permitted. As a non-denominational Chapel, any faith or religion is welcome. It is solely the responsibility of the customer to provide a clergy member to perform any ceremony if needed. Flash photography is allowed during the ceremony. Pictures may also be taken at the conclusion of the ceremony in the chapel and around the campus grounds. There is no air conditioning in the chapel, however fans are provided. We do have one room available for a “green room”, or staging area. Two altars, two podiums with microphones, and a piano are available for your use. An elegant two-story building, facing the famous cadet parade grounds, is conveniently located on the southeast corner of our campus. The first floor is set for your event’s customized cocktail hour and the Founders Room is also available for your use. The second floor will be decorated to your specifications, the floors are elegantly tiled in black and white, with a stunning high ceiling adorned with bronze chandeliers. Let our coordinators and exclusive catering team put together the perfect event for you. Choose from one of our three catering guides, or customize your very own menu for your event. Each per person price is inclusive of taxes and rental fees. Choose from our standard 10-foot rectangular banquet tables, or standard 6-foot round tables. Included in the price is basic poly blend linens, fine china, silver chargers, silverware and stemware. The minimum rental requirement is for 150 guests. We can accommodate up to 200 guests for a sit down dinner with a dance floor, and 250 guests without a dance floor. 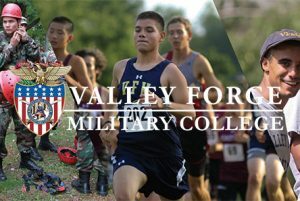 Although we do supply the bar service, Valley Forge Military Academy and College is a BYOB establishment. Eisenhower Hall is also available for corporate meetings. We are able to host an array of floor plans and menu options for your corporation’s meeting, as well as a build your own meeting option. We do offer the use of our LCD projector, screen, audio set up and easels. Inquire with our Director of Special Events for additional information and pricing. Eisenhower Hall is catered exclusively by Sodexo. Let our staff take your employees and turn them into a well-oiled team. We have compiled the best of team building exercises and our facilities to create the ultimate team building activities. We invite you to use our ropes course, climbing wall, obstacle course and paintball pit to create a fun-filled day of team building. Begin your day in Eisenhower Hall with a breakfast buffet; or after a long day of excitement and learning, host a luncheon or dinner for your staff. Don’t have a track, baseball diamond, soccer field, pool or football field? We are proud to rent our fields to your sports team. Rental rates are based upon availability.